A liquid food with solid components, such as meats, vegetables or noodles; solids may be pureed to create a thick liquid. Soups range from thin and watery to very thick. Popular soup bases are broths, made from vegetable, meat, poultry or fish, and cream. 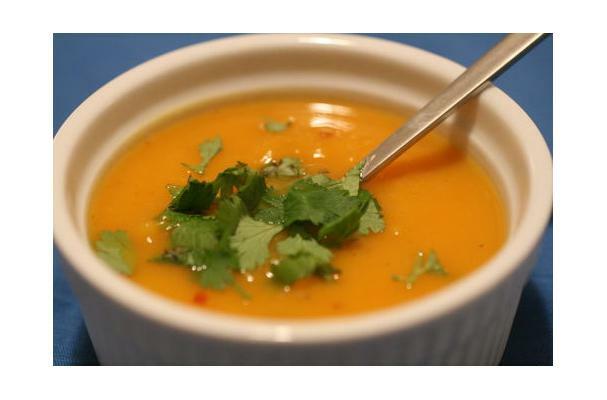 While soup is most frequently served warm, chilled soups are popular in summer months and in warmer climates. Soup is frequently a savory starter to a meal, though more substantial soups can serve as main courses; sweet soups made from fruit are sometimes served as dessert.